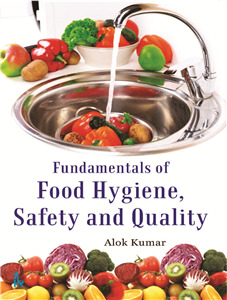 Alok Kumar | I.K International Publishing House Pvt. Ltd.
is associated with Mekelle University (A Govt. University) in Ethiopia (Africa) as an Associate Professor He was previously associated with Amity University, Noida (India). He is a graduate from IHM Kolkata & PhD from Jiwaji University, Gwalior (MP), India. He has 21 years' experience in hotel industry, teaching, research & training. He has published 36 research papers in journals/edited books and completed 2 UGC Projects. He has been founder Associate Editor of "Amity Research Journal of Tourism, Aviation and Hospitality (ARJTAH)"& Nominated for Editorial /Review board of Tourism and Travelling of Kozmenko Science Publishing, Poland and International Tourism and Hospitality Journal (ITJH) of RPA Journals, London. He has successfully led the hospitality department for prestigious international accreditation like NACC, WASC & IACBE.